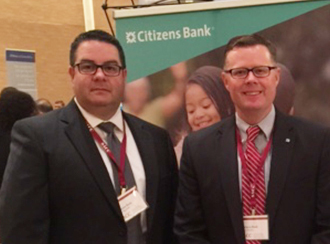 Kimberly was selected for our 2015 Ask a Citizen marketing campaign based on her story of helping our customers bank better. She describes how she works to deliver exceptional service to our elderly customers and their families as a Premier Relationship Manager. 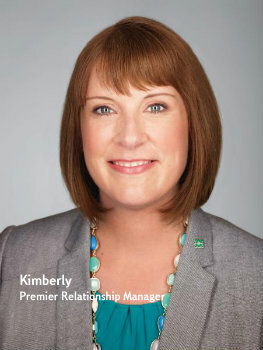 Kimberly began her career as a teller at Citizens. Over the years, she has grown both personally and professionally alongside the bank. Hear more about Kimberly’s journey and how she has become a well-known and trusted face at Citizens. 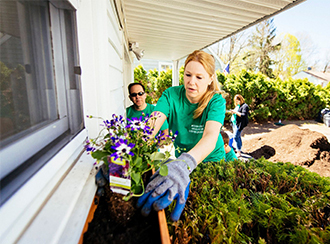 I’ve been with Citizens Bank for nearly 26 years. It was my first job right out of high school. My mother was a manager at another bank and encouraged me to get into banking. I started as a part-time teller and very soon after was promoted. I treat every client as is they are my friends or family. I only recommend products I know they’ll benefit from. It’s not about opening an account so I can meet my goals. I believe that if I always do the right things for my clients, they will think of me first when they have a need and they also will refer their friends and family to me. Over the years, I’ve built great relationships with my clients. We care about each other. I am proud to say I have helped many customers with their financial and personal goals. In my personal life, I’ve experienced many of the same challenges they do. With my experience, I’m able to help them overcome their own challenges. I had so many stories to share. In my essay, I wrote about our elderly customers who have brought their family, executor or attorney to meet me because they trust me. They want to know that after they pass away, their banking will be taken care of by me and their executor. Because I’ve been in banking for so many years, I’ve seen my clients in all stages of their lives. 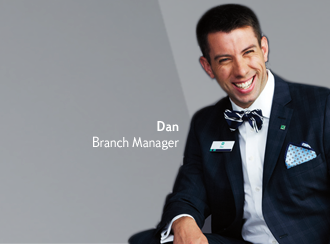 The greatest compliment a customer can give me is to trust me to help their family members with their banking needs. Have you heard from friends or colleagues who have heard or seen your ad spots? My colleagues, customers and family are very excited to see me on TV. I am extremely honored to be part of this campaign. Learn more about Relationship Manager careers at Citizens.